Greetings from the lovely city of Chiang Mai, in northern Thailand. 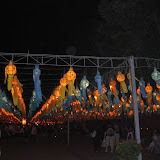 Tonight was the last night of the Loi Krathong festival, which takes place during the full moon in November. 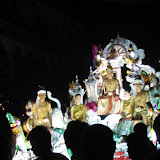 It is celebrated nationwide, but is a particularly festive occasion in places where there are rivers, canals, moats (at least in the case of Chiang Mai, where I am) and other bodies of water. People make and float a krathong – a banana–leaf cup – which is intended to float away troubles and ill fortune. 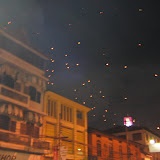 Krathong traditionally carry offerings of incense, lotus flowers and small amounts of money. These are offerings of thanks to the water gods — to whom we clearly have a lot to be thankful for! Until I figure out a better way to post photos on these pages, please make do with the following link to an online album where you will see Loi Krathong pictures galore. I will write a real blog post soon. Promise.